Product prices and availability are accurate as of 2019-04-20 01:30:57 EDT and are subject to change. Any price and availability information displayed on http://www.amazon.com/ at the time of purchase will apply to the purchase of this product. 250 Watt Electric Wall Mounted Convective Panel Heater that works on the principle of natural convection and creates gentle air circulation throughout the room without using a fan. 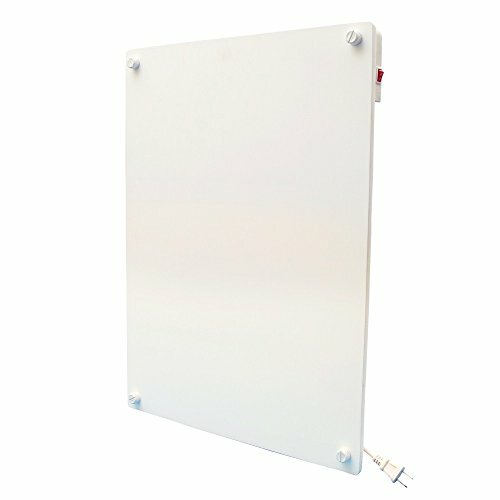 The 250 Watt size heater is ideal for a small size room (100-150 sq. ft.) and when installed in bathrooms following local regulations, will double-up as a towel warmer when installed under the towel rack. Unique Company Features: The company manufactures the heaters to very high standards and are certified by Intertek to UL and IEC standards. 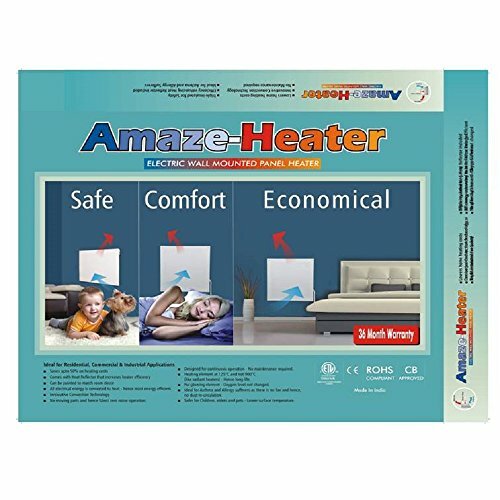 The company has been manufacturing the heaters since 2008 and has been supplying to Australia, New Zealand, Chile and also in Northern India. Product Specifications: Power - 250 Watts, Voltage - 120 V, Current - 2.1 Amps, Dimensions - 24"x18"x1/2", Weight 8.8 Lbs. Other unique information about the product: All panels are export packed with high density foam packing. Each and every panel is hand finished and heat-tested. 250 Watts (853 BTU), 120 volts, 2.08 Amps Uses only 0.25 Kw/hr of energy - Ideal for 100 sft room. Energy-Efficient - Save more than 50% on home heating costs! Safer for Children, elders and pets Lower surface temperature than radiant type heaters No fan and hence, no dust re-circulation AND no noise! UL & IEC Approved and RoHS compliant. 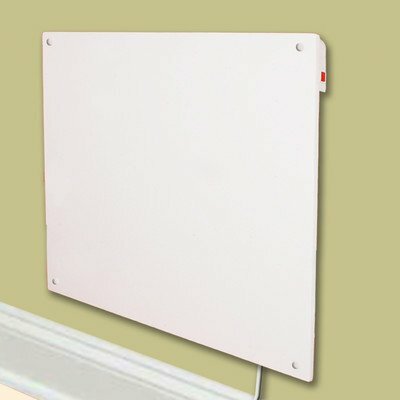 Heat Reflector included - This is self-adhesive reflective sheet that is stuck to the wall behind the panel and it will minimize heat loss to the wall and increase the efficiency of the heater. Triple insulated for electrical safety. Safer for Children, elders and pets. Lower surface temperature will not burn upon contact. Additional Safety Feature (PATENT applied for). 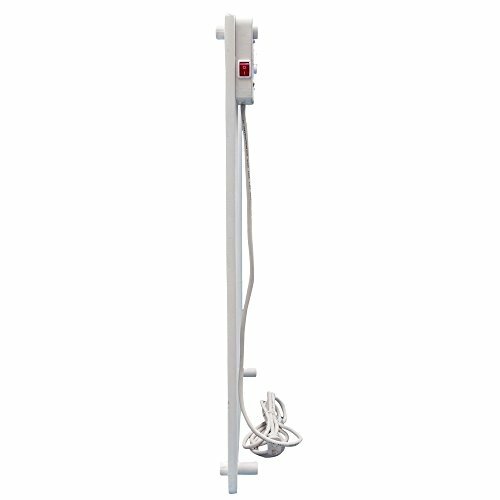 This optional feature of protruded wings (specially for 250W units), allows the unit to be installed in bathrooms under the towel rack to act as a towel warmer, while heating the room. Saves upto 70% on heating costs. Basic idea is to install the units in rooms that are used in the night and set the central thermostat lower by 6 to 7 degrees. By doing this, one can save on heating costs by not heating the whole house in the night. No fan and hence, no noise, less current and no re-circulation of dust/allergens. Ideal for Asthma or Allergy sufferers.